The Classes would be spread on a 7 month span & will have one class every month’s 1st Sunday. 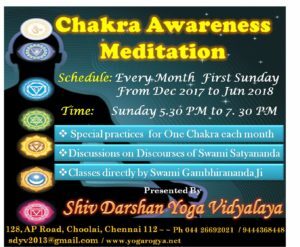 Exclusive attention will be given to each chakra every month, with discussion on related practice and discourses. 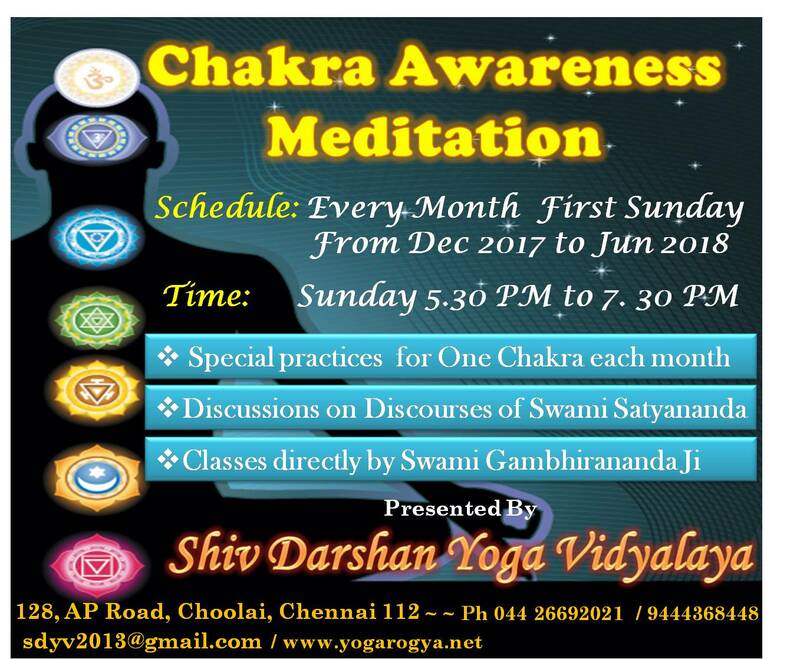 The classes will be directly guided by Swamiji. It is a class for Spiritual Development of Oneself. 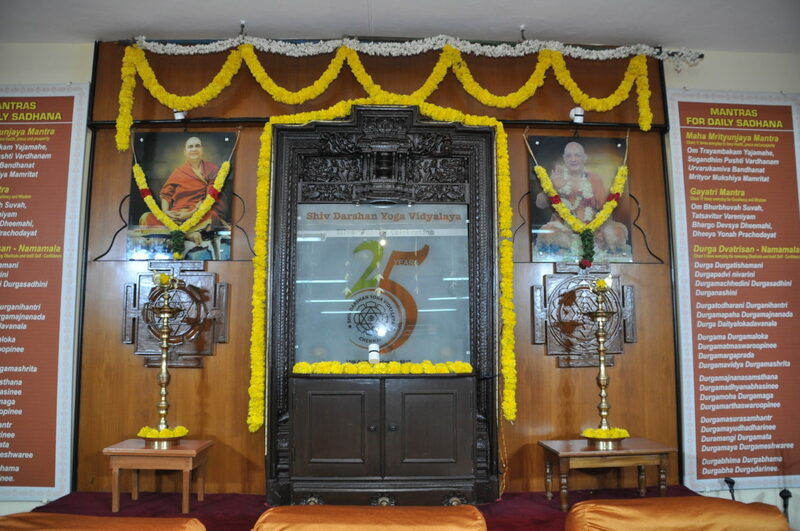 Interested students are required to practice the techniques sincerely every month to attain benefit. Registrations are open. Classes start from Dec 2017. Enroll soon. Contact Ashram for further details on various other classes.